Clive has more than ten years experience in commercial and mixed use real estate. He deals with a range of commercial real estate work, with an emphasis on complex development projects, real estate finance and regeneration acting for developers, occupiers and funds. Clive is the lead real estate lawyer for the London Borough of Newham. 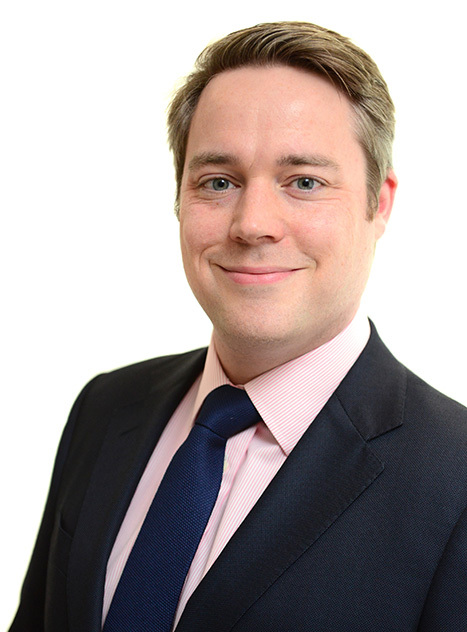 He has recently advised the Borough on the disposal of its shared interest in the Crystal building and acquisition of an adjoining development site from the GLA. This had a deal value in excess of £29 million. In addition he has, in the last year, acted for Guildford Borough Council on its £22.65 million acquisition of a fully tenanted office building known as Wey House in Guildford. Clive also led the real estate aspects of a £20 million debt refinancing of a large industrial portfolio for GAM International Management Limited and Zurich Assurance Limited. Clive is listed as a Recommended lawyer in the Legal 500 (2019 Edition). Advising a FTSE 100 company on the residential redevelopment of several assets within the M25 with a development value of circa £500 million. Many of the schemes involved complex environmental and legal issues (for example pre-existing contamination, works adjoining river boundaries or railway lines), existing occupational interests and keen public interest that required close liaison with the client and its professional team, including project managers, architects and planning consultants, to ensure the schemes progressed in a timely and cost efficient manner. Acting for a national retailer on the acquisition of several new retail stores throughout south England. Acting for a property investment fund in respect of circa £80 million worth of office and retail acquisitions (2 sites at Soho Square and Islington, London). Advising a national property developer on a new South London development consisting of 3,900sqm of retail space, 600sqm of office space, gym, leisure facilities and 700 residential units. Advising Guildford Borough Council on the acquisition of a fully let office building for circa £22 million, the redevelopment of the Tunsgate Shopping Centre, and The Tyting Farm residential development with a value of approximately £2 million. Advising a London Borough on a land swap to create a new development site for future redevelopment with a value of circa £20 million. Advising Surrey County Council on potential redevelopment opportunities at several sites in Surrey including the redevelopment of Guildford Park Car Park. Advising Mole Valley District Council on several investment acquisitions.